Happy Wednesday! Spring is here! I love bright colors and i enjoy mixing bright prints and its fun to play with different color and patterns to my daily wardrobe. 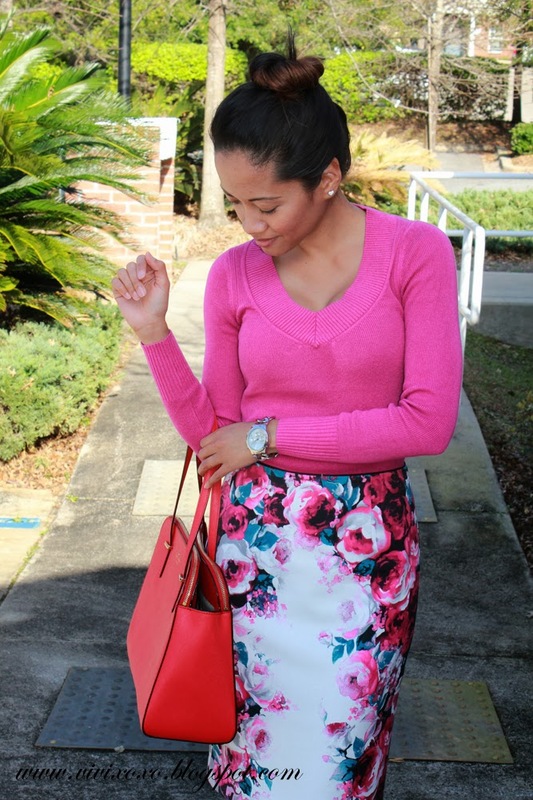 The Floral Pencil Skirt is from White House Black Market i purchased in January, Size 00 Petite. The skirt is gorgeous, true to size and great quality! Half way to the weekend! I hope everyone is having a great week!